Galatarasay's appeal against their ban from playing in Europe has been dismissed, Uefa has confirmed. Uefa suspended the Istanbul side in March for breaching financial fair play rules, and an appeal to the Court of Arbitration for Sport has been unsuccessful. Galatasaray had qualified for the 2016-17 Europa League after winning the domestic cup last season. Osmanlispor, who finished fifth in the Turkish Super Lig, will replace them. 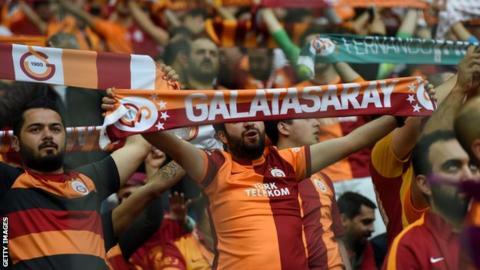 In January, Uefa said 20-time Turkish champions Galatasaray had broken regulations on the level of financial losses allowed. The 2000 Uefa Cup winners have played in the Champions League for the past four seasons, going out at the group stage of last year's competition. They dropped into the Europa League but lost to Lazio in the last 32.